AS the presidential election holds on Saturday, many Nigerians of voting age have already made up their minds on who to vote for while many others are still undecided, sitting on the face, waiting for a last minute decision. Since the emergence of all the presidential candidates, Nigerians have been split sharply between the two top contenders, Alhaji Atiku Abubakar of the Peoples Democratic Party (PDP) and President Muhammadu Buhari of the All Progressives Congress (APC). In truth, the two candidates have campaigned vigorously across Nigeria which is the beauty of democracy, with thousands of people trooping out on each occasion to welcome the candidates to their domain. Any close observer of the current political journey will agree that it is a close call between the two candidates. 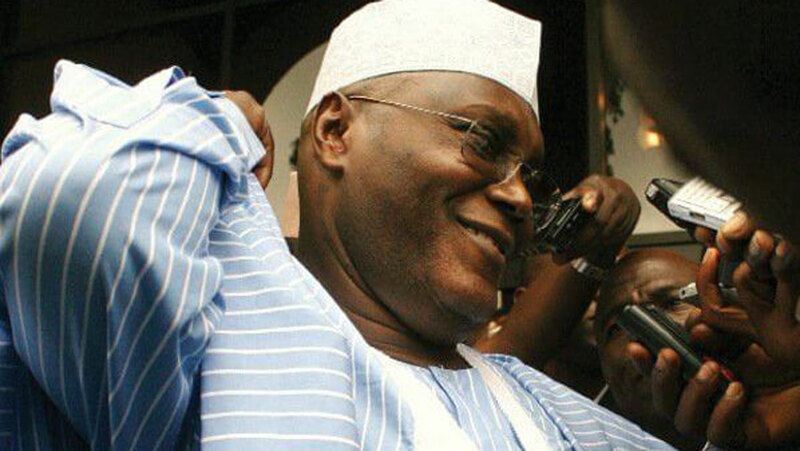 However, if various endorsements for Atiku Abubakar within and outside Nigeria are anything to go by, then it can be said that the pendulum is swinging towards a PDP and Atiku’s victory next week. For anyone in doubt, the reasons for the massive endorsements of Atiku Abubakar and the PDP are germane and for those who are still sitting on the fence, undecided, there are good reasons to give the PDP candidate their mandate. Atiku Abubakar’s economic blueprint to reform Nigeria has been widely acclaimed by the Nigerian economic and business community. In a published booklet of 186 pages, Atiku outlined how he hopes to make Nigeria work again. Lack of space will not permit me to engage on all the issues in the book which will certainly set Nigeria on the path of economic recovery. Anyone who goes through that book will be left with no doubt that the PDP presidential candidate is a man with a vision, who understands all the economic nuances in Nigeria and has the potential to address them, leading Nigeria out of endemic poverty. According to the book, his administration will “create a strong, resilient and prosperous economy that creates jobs opportunities.” Although Nigerians may find it difficult to believe politicians when they make promises given their penchant for reneging on their promises in the past, Atiku should be believed when he says he will create an enabling economic environment that will provide jobs for the millions of unemployed people in Nigeria. This is because, in his individual capacity, he has created thousands of jobs for many Nigerians and indeed people of other nationals in his many businesses outside Nigeria. Every end of the month, Atiku pays salaries and puts food on the tables of thousands of people around the world. If a man can do this in his capacity as a private person, it goes without saying that with the structures of governance at his disposal in the capacity of a president, he will do much more and the prevailing unemployment and poverty in Nigeria will be reduced. If for anything, Atiku deserves the votes of millions of Nigerians on this score. He is concerned with the welfare of the people, he is concerned with touching the lives of millions of Nigerians and that is what governance is all about. He is the only presidential candidate who is the largest employer of labour and who has interests in various aspects of the Nigeria’s socio-economic experience. Atiku has a pan-Nigerian outlook. He is committed to uniting Nigerians across every divide irrespective of religion, ethnicity, political persuasion and other varying interests. This, according to him, will be reflected in his appointments and various allocations of the national resources. Any honest Nigerian will agree that never in the history of this country has Nigeria been so divided and sectionalized like in the current era. According to the PDP presidential candidate in his booklet to get Nigeria working again, he will “guarantee Nigeria’s unity by promoting the spirit of co-operation and consensus especially in a society that is as complex and heterogeneous as ours.” No country makes progress without unity. Therefore, if a man is committed to unifying the country through various instrumentality of governance, then the least Nigerians can do is to offer their support. Atiku sees every Nigerian as equal, he has a cosmopolitan outlook that encompasses and accommodates different and varying ideas rather than a parochial vision of life. We all agree that Atiku is a Muslim, but a great number of his workers are Christians, he is tolerant and does not discriminate between ethnicities. Many of the directors in his many business concerns are from different ethnicities. In this way, Nigerians will not be served the putrid menu of sectional appointments based on religious persuasion and ethnicity. Recently, the biggest challenge confronting Nigeria is security. During Goodluck Jonathan’s administration, his government was constantly berated for treating the Boko Haram menace with kid gloves. Therefore, Nigerians sacked that administration hoping that the new government will take the issue of security seriously. However, that has not been the case. In fact, the Boko Haram menace has graduated to new levels and Nigerians are in awe. Atiku has graciously committed to end the Boko Haram challenge. According to him, he will guarantee “an established strong and effective democratic government that guarantees internal security”. Given Nigeria’s dire security situation, it will be a welcomed development and a breath of fresh air if our fellow countrymen and women in the affected areas in the Northern part of the country can breathe a sigh of relief and experience peace once and for all. It is in the foregoing consciousness that Nigerians must all march out on Saturday to vote for the PDP candidate. Nigeria’s education sector has been in mire in the last few years. Our universities have been closed down in a way that has made nonsense of the academic pursuit of many youths in the country. Just recently, all the universities in Nigeria were shut down for three months, hindering normal academic activities and prolonging the normal period for graduation. Atiku has said that from the first day of his administration, strike by university lecturers (ASUU) will be a thing of the past and we have every reason to believe him. He has a university and understands the dynamics and intricacies of educational pursuit and also the welfare of university lecturers. It has never been reported for a day that lecturers in his university embarked on any kind of strike. In this regard, he understands what needs to be done to finally stop the incessant strike which has made our educational system a laughing stock in the world. No country makes progress with a deformed educational system. A man who has invested in education and recorded glaring success in that sector should be trusted to restore the glory in Nigeria’s higher institutions of learning.